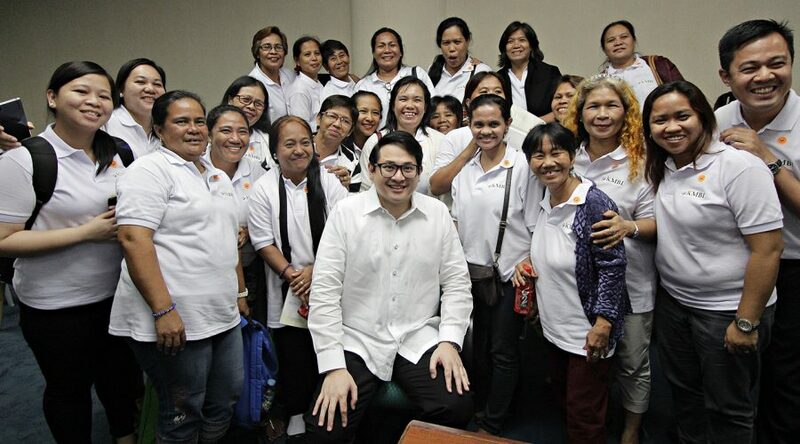 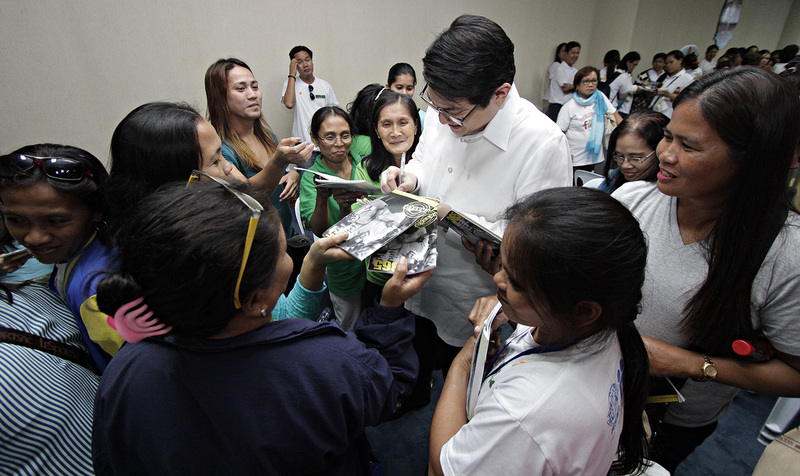 Senator Bam Aquino poses with microfinance non-government organization (NGOs) beneficiaries who witnessed the Senate’s approval of SB No. 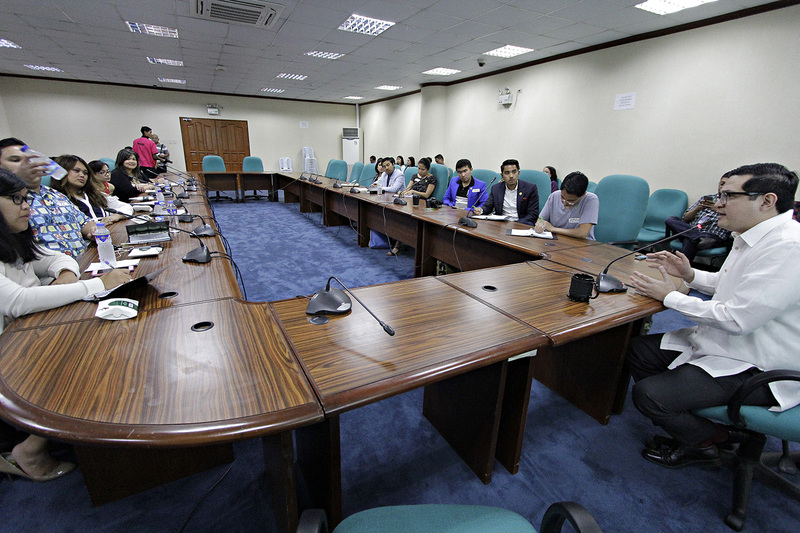 2752 or the Microfinance NGOs Act on third and final reading last Monday (August 10, 2015). 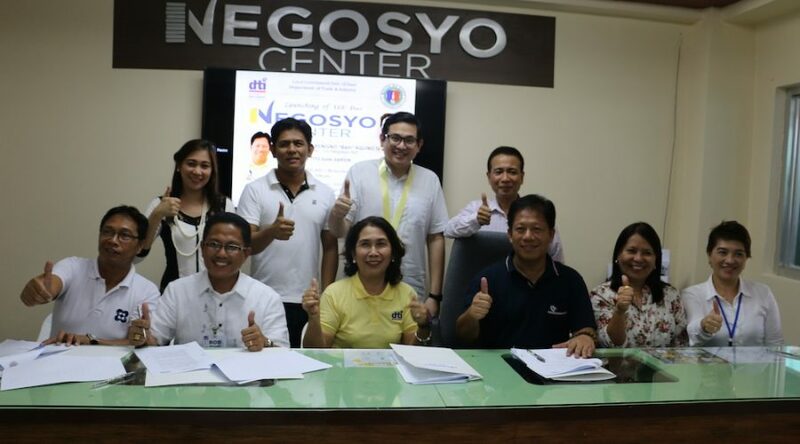 The measure aims to strengthen non-government organizations (NGOs) that provide micro financing to the poor who want to start their own business. 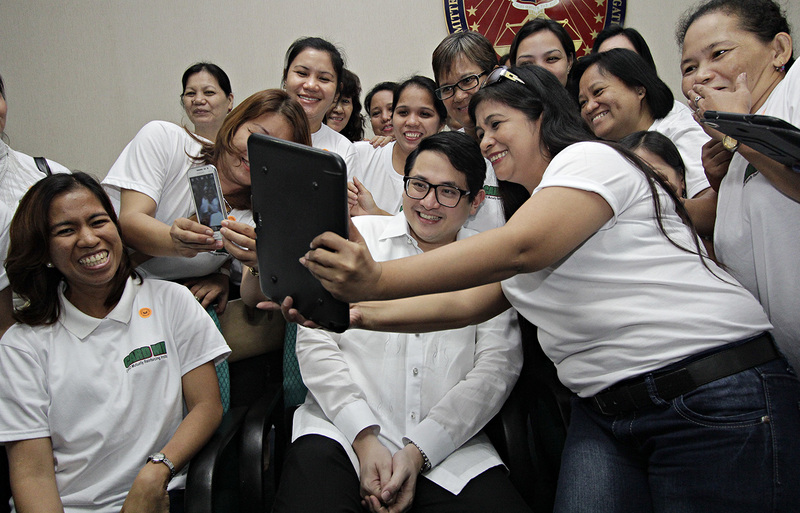 Aside from loans, microfinance NGOs also provide training programs and seminars to enhance the entrepreneurial skills and financial literacy of their borrowers. 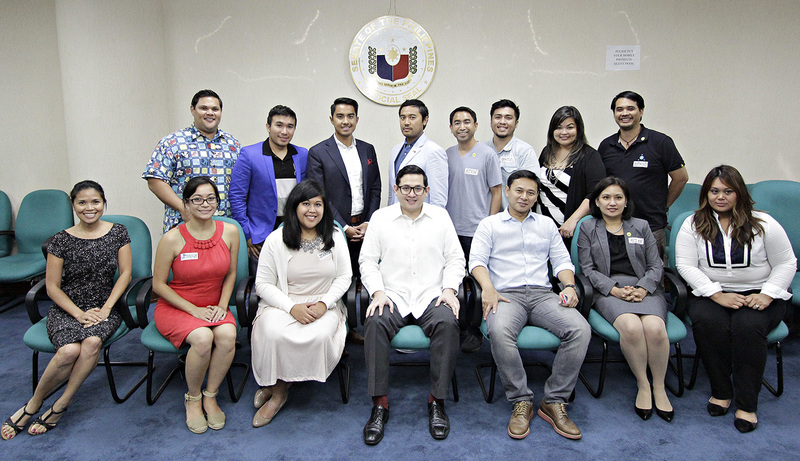 Senator Bam Aquino discusses his priority measures and the country’s legislative system during the round table discussion with delegates of the Filipino-American Youth Leadership Program (FYLPro) at the Senate Building in Pasay City. 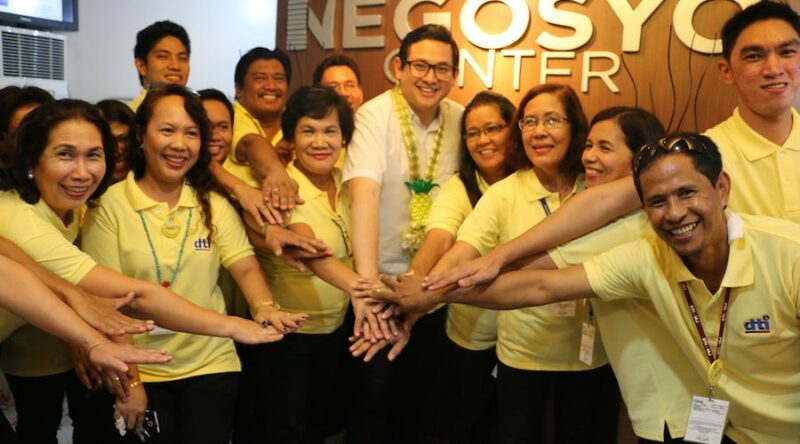 Aquino and Sen. Sonny Angara pose for posterity with FYLPro delegates, (seated, from left) Anna Marie Cruz, Jessica Caloza, Jennifer Coliflores, Foreign Affairs Assistant Secretary Mei-An Austria, Nicole Adrienne Ponseca and (standing, from left) Honolulu, Hawaii Congressman Ty Cullen, Lakhi Mangharam Siap, Mark Jimenez, Freddy Anzures, Kevin Gabayan, Angelo Ignacio, Louella Cabalona and Anthony Guevara.